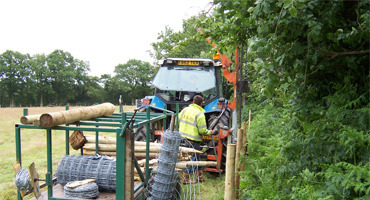 We supply a wide range of high quality timber fencing in Kent to contractors and traders requiring commercial fencing. 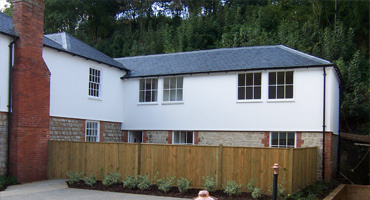 All of our timber is sustainably grown and pressure treated to ensure the upmost quality and professionalism when completing any commercial project for your clients. 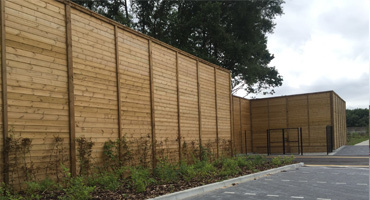 Constructed to any height requirements our wooden site hoarding board fencing offers a permanent and secure screen for construction sites. 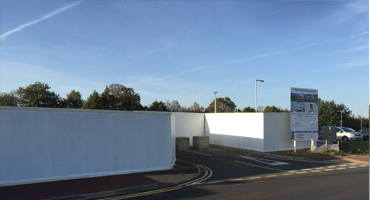 Our closeboard fencing and gates are manufactured in our own workshop in Bethersden and we hold large stocks ready for 'supply and installation'. Our Chestnut paling is a traditional and natural product which has been grown in Kent and East Sussex since medieval times. 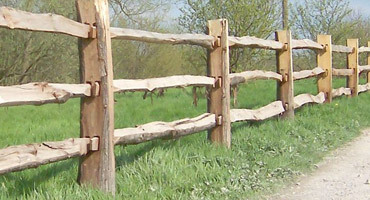 Our locally sourced chestnut timber is ideal for boundary fencing or stock fencing however is commonly used in may locations where a more rustic look is preferred. 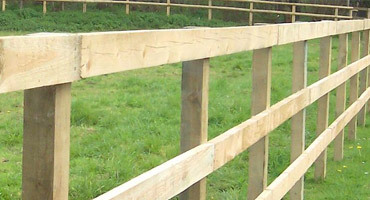 Our square sawn softwood timber post and rail can be used from motorway boundaries to equestrian paddocks. 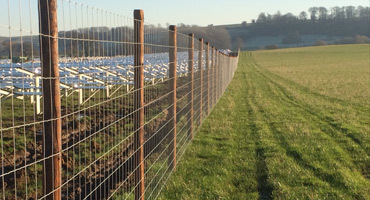 Traditonally used for deer fencing and more recently used for low cost security fencing for solar farms. 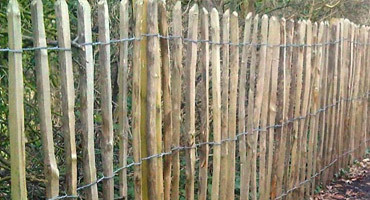 Traditional livestock fencing used to retain livestock safely and securely.